This book is part of a series of books that attempt to tackle a series of emotions that young children find difficult to comprehend. 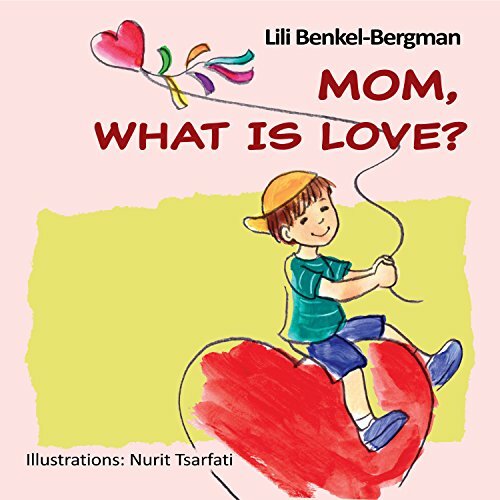 In this volume, the author tries to explain the many kinds of love that one experiences throughout life. The young boy protagonist knows that he loves his mother because she is his mom. He is confused about his feelings for his younger brother, his friends, and grandparents. He reasons that if his grandparents have a love that is old, why can’t they trade an old love for a new one. What happens to love when a parent divorces? Why do some people love animals more than people? Why do we love some things and hate others? The book jumps from one scenario to another very quickly. Parents or teachers will need to guide children in understanding the author’s point of view. I think the author’s objectives are sound, but perhaps the book is more appropriate for children a little older who are prepared to discuss these issues in greater depth with an adult. Recommended especially as a read-aloud for elementary and middle school readers. This chapter book addresses many issues confronting today’s families. Tyler has been sent to live with his Grandmother until his newly separated parents can work things out. He feels trapped and unloved because he has been torn away from his life and friends in the city. Tyler decides to run away. He finds a tree-house that belongs to Cody and Jenna. These siblings have their own problems, a mean babysitter who mistreats them and parents who are seldom home. When Cody and Jenna decide to help Tyler, he distrusts them. The only friend he has is an injured sparrow. After several mishaps, Cody and Jenna move Tyler to an old shed, where Jenna, a local foster child tries to help him when he is injured. The story progresses with many twists and turns. In the end, children and adults learn how to believe and trust in one another. This story is targeted for grades K to 6. I believe it is best suited for children in the eight to twelve age group, who will appreciate and understand all the issues in the storyline. There is a Christian focus, but the book is not preachy. This book would make an excellent read-aloud book for discussion on many social issues. If you enjoyed reading this post, please subscribe by clicking on the word Follow or by hitting the orange RSS FEED button at the upper right-hand corner of this page. 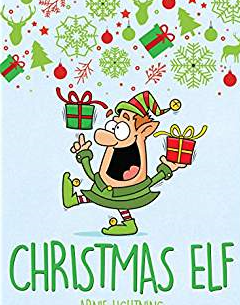 Tinsel is one of the longest-serving elves for Santa at the North Pole. This elf is notable for having the capability of spreading the spirit of Christmas everywhere he goes. For that reason, Santa has appointed him a special helper. Every year Tinsel is assigned to a child who feels despondent at Christmastime. Readers are taken on a trip around the world to experience Tinsel’s successes. A boy named Timothy whose father has passed away, a girl named Maria Luisa whose family will be unable to be with her this Christmas, and a boy in Chicago whose family never celebrates Christmas are included among those adventures. Tinsel uses his creativity to lull each of his clients and those around them into the true spirit of the holiday. Children who are experiencing separation, divorce, a new community and fears of alienation will feel a lot better after reading about Tinsel and his charges. 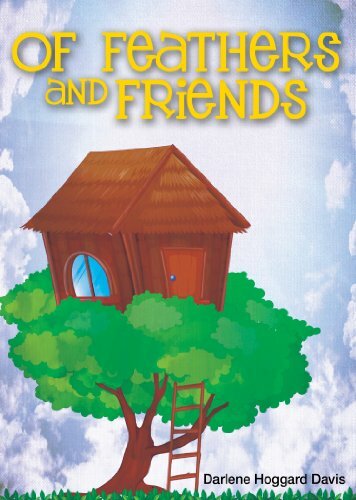 This is a delightful forty page book that will delight elementary school age children and warm the hearts of adults who read it. Good choice for a classroom or family holiday read aloud. In the prologue readers meet ten year old Karim, who is falling through pink candy cotton clouds trapped in a bubble of bubblegum. He is clutching a small glass bottle to his chest. At first glance, that does not sound like much of a predicament for a child, until you read on to the first chapter. Karim’s parents, Malek and Christina, are arguing again. Karim overhears them discuss the possibility of divorce. The boy impulsively rushes out of the house into the streets of San Francisco with his dog in a thunderstorm. He bumps into an elderly woman named Madame Loope, who invites him into her pawn shop to escape the storm. Karim picks up a glass bottle. Steam begins hissing from the bottle as a man emerges from it once uncorked. This man is a Zimmah, a djinn. Karim asks that he be granted a wish. His first wish is to turn his Labrador into a Snow Lion. After the djinn grants that wish, Karim wishes the world was a happy place. Karim is transported to a world filled with edible sweets. What astonished the boy is that he meets his father transformed into the king of the Cupcake World. Malek is preparing to do battle with his enemy, the Queen of the Brownies. 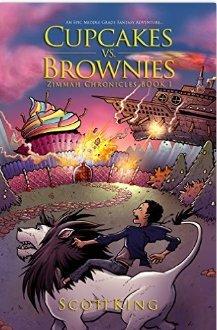 Karim cannot believe his eyes when he discovers the Captain of the Brownie army is none other than his mother. When Karim pleads with Zimmah his wish is to fix things between his parents and return to the real world, the djinn informs him that this is the way things are and there is no magic to fix it. Will Karim ever find his way back home to San Francisco? Is Zimmah a friend or an enemy? What will happen to Malek and Christina? This book is a creative way to approach the problem of divorce and how children may cope with it. It combines fantasy with an interesting plot that deals with an issue many children in families must face. Appropriate for children ages eight and older; this book could be useful for parents, teachers and social workers to open up many avenues of discussion. 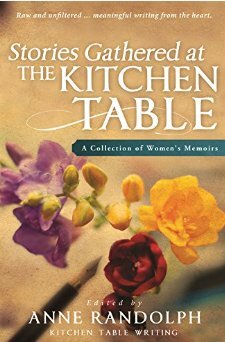 The editor based this collection on her creation of the kitchen table writers’ concept, which encourages women to find their creative author’s voice. A small group of women gather around a kitchen table and begin writing their thoughts with pen in hand. No need to worry about grammar, spelling or second guessing. Weekly sessions begin and end with the inspiration of a poem. Each author writes about her thoughts and dreams. Following the time allotted for writing, each of the participants listens and shares taking turns to read aloud. At the end of this nearly one hundred page collection of stories, Randolph includes short biographies of each participating author. Topics are diverse; emotions and writing reflect the natural setting and willingness of each participant to immerse herself in the writing process, and more importantly to lend a willing ear to each other’s work. In “Belly Flops” the reader is treated to a young girl’s first experience diving into a swimming pool. “When I was Ten” propels its readers back in time to a child’s visit to Manhattan during World War II. “Learning to Fly” transports us to an airfield for a first flying lesson. “A Slow Leaving” reflects the emotional roller coaster the writer experiences as her husband is about to leave the house because their divorce has become final. This book is a good tool to preview many styles of writing and a good conversation starter for a woman’s group on many topics up for discussion on women’s issues in the modern world. Recommended for young adult and adult readers. 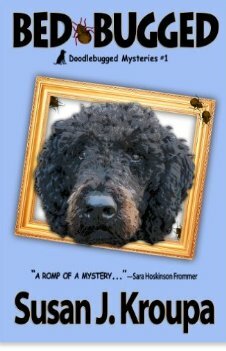 First in a series of mysteries featuring a Labradoodle simply named Doodle. The dog has recently come from the pound to live with a master he calls boss and his daughter Molly. Doodle has been trained to sniff out bedbugs. Boss organized the Hunter Detection Company in the hopes of making a new start in the Washington, DC area. Everything rests on Doodle making it a success. Ten year old Molly is smart; she will begin a special science school program at the end of the summer. Molly’s hobby is taking pictures; she keeps a secret album of memories for her Mexican mother, who she has not seen since the age of three. When intruders steal Molly’s album and her computer, Doodle is frustrated that he is unable to catch them. It does not take Molly long to realize that there might be a connection to work that her father Josh has recently completed. Like Doodle the young preteen is relentless in her will to solve the mystery. There will be unlikely connections to crime and family. This story is told in the first “person” voice of Doodle. It is lots of fun to hear a dog’s perspective and humor as to the quirky habits and personalities of humans. While the book touches on serious issues like family relationships, immigration, and divorce, the overall tone is upbeat making this book appropriate for preteens, teens and adults. The plot contains unexpected turns and characters are well-balanced. 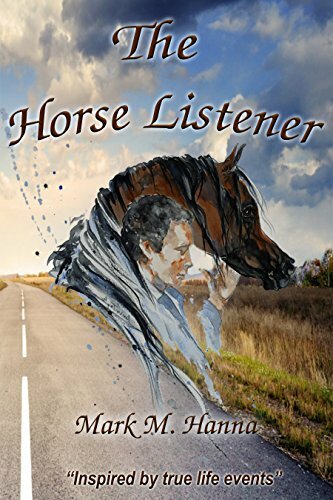 Recommended for mystery fans, animal lovers, and anyone who enjoys curling up with an interesting read for a few hours.